It has been another very busy week! Yesterday Tawny Owls together with the rest of Year 2 enjoyed a most interesting day visiting Chelmsford Cathedral and Chelmsford Mosque. We learned lots about both places through role play, dressing up and 'hands on' activities. All the children were sensible and polite and staff at both the Mosque and the Cathedral commented on the children's enthusiasm for learning and excellent behaviour. This week we have been learning about unit and non-unit fractions in maths. Our maths lessons are buzzing with enthusiastic children wanting to CONVINCE, PLAY, PERSUADE AND NOTICE as they explore fractions of number, shapes and amounts. Our 'Mastery' mathematical language is really proving successful as our children are able to explain their thought processes to their friends and investigate number more thoroughly. We are enjoying our Traction Man stories especially when our superhero rescues Scrubbing Brush from a disaster. Our artwork has been interesting as we look into the technique of Pointilism. 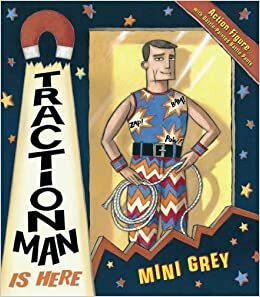 This half term our topic is Traction Man. We will follow the adventures of this mini superhero as he encounters epic challenges to test his resilience and determination. Our science work is based on Living and Non-Living things and our art work will see us study the works of Roy Lichtenstein who draws and paints using the techniques of small dots of colour to create effect (Pointilism). Our art work will lead us into our Mantle of the Expert project in which we will set up a small art gallery for our friends. Decisions will have to made as to what artwork we display, how we will advertise the gallery around the school and different teams will produce information leaflets and maps to help guide our visitors. We will find out about the continents and oceans around the world in our Geography topic as we follow Traction Man's travels around the globe. Tawny Owls have had a brilliant week! We have been investigating what happens to different materials when they are heated with some surprising results. We all thoroughly enjoyed the Year 2 D&T morning and it was lovely to see so many mums, dads and grandparents in school. Thank you for your support. Our focus this week in English has been poetry and we have been enjoying reading poetry together as a class. We have also written some amazing Scrapyard lunch poems imagining what the Iron man would enjoy eating! Next week we are looking forward to our D&T morning. Please continue to save and send in any boxes or packaging that we can use for junk modelling. Thank you! It was lovely to see so many guests in the studio this morning! The children have worked incredibly hard to put their maths assembly together in less than a week! Lots of lines to learn and remembering when to come on and off stage. They all did brilliantly and and can be very proud of themselves. Thank you all for coming and supporting your children. Tawny Owls are already very excited about our new topic. We have been investigating some strange metal objects which mysteriously turned up on the school field on Tuesday. We think that they may have been robot body parts! We are thoroughly enjoying the story of the Iron man and have already produced some super writing and art work based on the book. In addition we are working hard to learning our lines and practising for our class assembly next Thursday and look forward to seeing you there. Tawny Owls are coming to the end of a busy and exciting term. We have enjoyed learning about life in Victorian times and our trip to Braintree museum really brought the subject to life. Thank you to all the families who researched WW1 and loaned us artefacts. Again this really helped the children's understanding of Remembrance Day. We are all looking forward to the Christmas break and hope that you enjoyed our Concert last Friday. Our topic for the new year is going to be based on the Iron Man by Ted Hughes, so look out for a metal giant coming your way soon! We have got an exciting year ahead full of inspiring topics and interesting learning which kicks off with our study of the young Queen Victoria. We will transport ourselves back in time to the Victorian times where we will find out about Victoria and her reign, Victorian childhood and famous Victorian inventors such as Brunel. Please ensure you are reading at home every night with your child this term and remember to write in the reading diary. Each week children will be asked to complete a Maths and English/Spelling homework in their new activity books. Please make sure your child only completes the given pages each week.